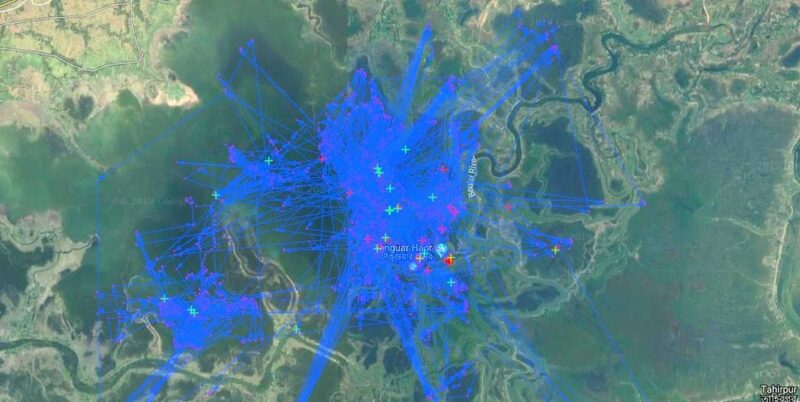 In order to understand habitat use, migration patters and possible transmission of diseases, a total of 38 migratory dabbling ducks were fitted with GPS tags (solar powered) in northeast Bangladesh last month. This study is part of the collaborative project by IUCN Bangladesh, Linnaues University (Sweden) and Bangladesh Forest Department. 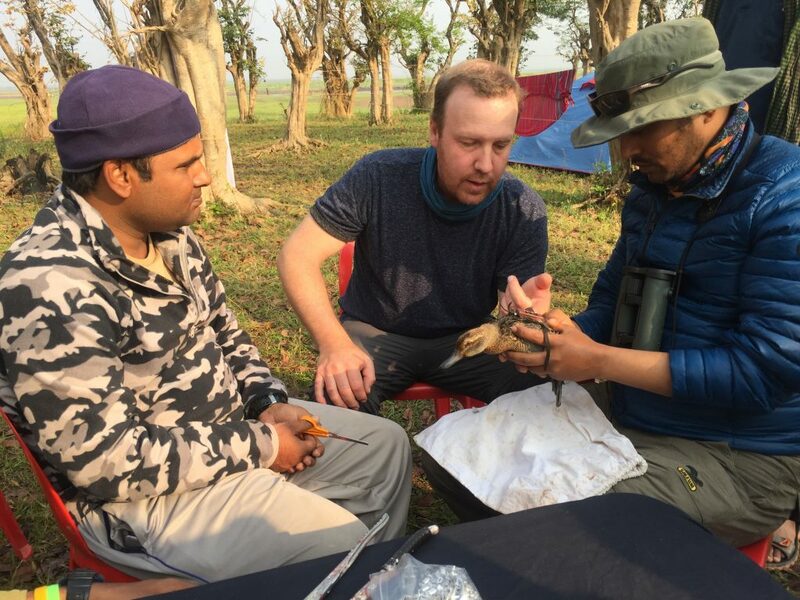 A team of Bangladeshi and Swedish experts carried out expeditions to Tanguar Haor [EAAF105] and Hail Haor [EAAF106] in February 2019 to tag long-distance migrants such as Garganey, Common Teal, Eurasian Wigeon and Northern Pintail. In addition, the team ringed a total of 200 migratory waterbirds of 15 species. Raquibul Amin, country representative of IUCN Bangladesh said, “we can understand the possible avian outbreaks and suggest possible prevention measures. This will also protect our poultry industry and economy”. We are already receiving exciting movement information, especially how these ducks are using habitats outside wetland reserves. 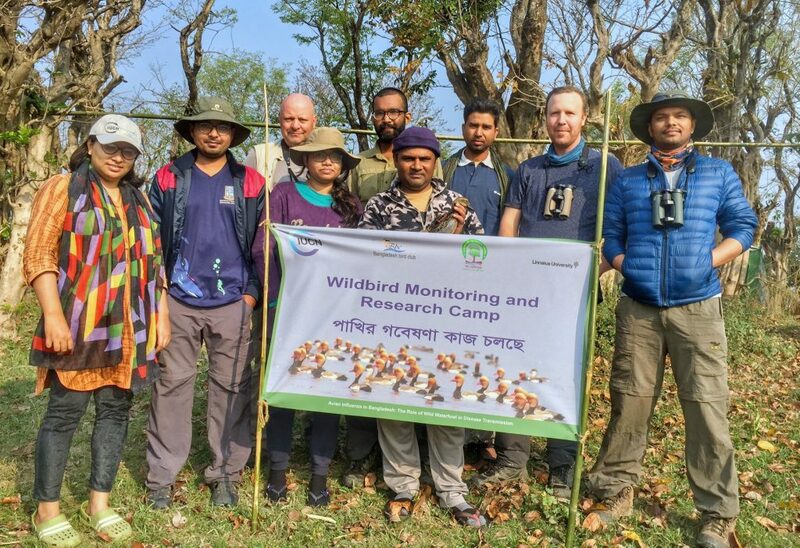 This will allow us to better understand movement of migratory ducks within Bangladesh, which will help to prepare improved migratory waterbird management and conservation plans. 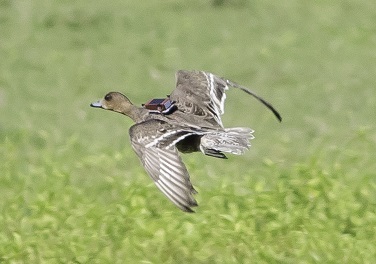 Watch this space for more exciting migration news when the ducks start spring migration! 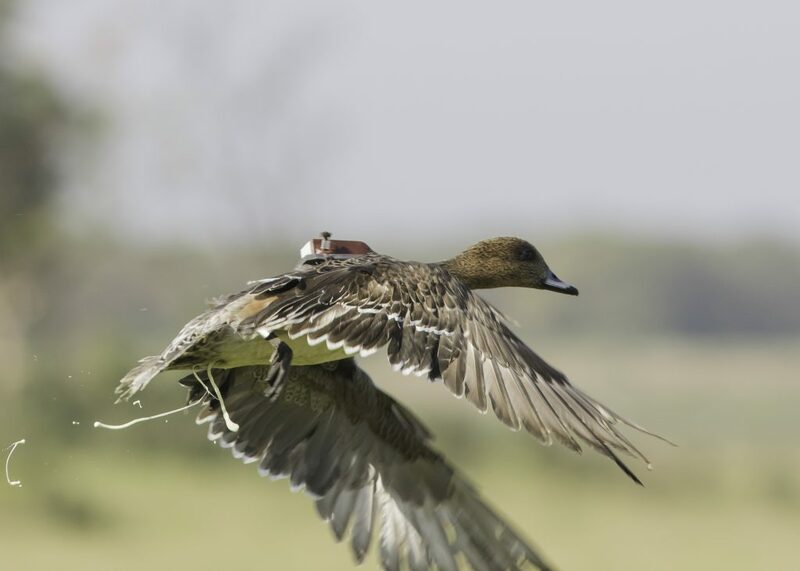 Eurasian Wigeon with a tracker on its back © Sayam U. Chowdhury_IUCN BD.